On that day, says the LORD, courage shall fail the king and the officials; the priests shall be appalled and the prophets astounded. Then I said, "Ah, Lord GOD, how utterly you have deceived this people and Jerusalem, saying, 'It shall be well with you,' even while the sword is at the throat!" At that time it will be said to this people and to Jerusalem: A hot wind comes from me out of the bare heights in the desert toward my poor people, not to winnow or cleanse-- a wind too strong for that. Now it is I who speak in judgment against them. Look! He comes up like clouds, his chariots like the whirlwind; his horses are swifter than eagles-- woe to us, for we are ruined! O Jerusalem, wash your heart clean of wickedness so that you may be saved. How long shall your evil schemes lodge within you? For a voice declares from Dan and proclaims disaster from Mount Ephraim. Tell the nations, "Here they are!" Proclaim against Jerusalem, "Besiegers come from a distant land; they shout against the cities of Judah. They have closed in around her like watchers of a field, because she has rebelled against me, says the LORD. Your ways and your doings have brought this upon you. This is your doom; how bitter it is! It has reached your very heart." My anguish, my anguish! I writhe in pain! Oh, the walls of my heart! My heart is beating wildly; I cannot keep silent; for I hear the sound of the trumpet, the alarm of war. Disaster overtakes disaster, the whole land is laid waste. Suddenly my tents are destroyed, my curtains in a moment. How long must I see the standard, and hear the sound of the trumpet? "For my people are foolish, they do not know me; they are stupid children, they have no understanding. They are skilled in doing evil, but do not know how to do good." I looked on the earth, and lo, it was waste and void; and to the heavens, and they had no light. I looked on the mountains, and lo, they were quaking, and all the hills moved to and fro. I looked, and lo, there was no one at all, and all the birds of the air had fled. I looked, and lo, the fruitful land was a desert, and all its cities were laid in ruins before the LORD, before his fierce anger. For thus says the LORD: The whole land shall be a desolation; yet I will not make a full end. Because of this the earth shall mourn, and the heavens above grow black; for I have spoken, I have purposed; I have not relented nor will I turn back. All who have sinned apart from the law will also perish apart from the law, and all who have sinned under the law will be judged by the law. For it is not the hearers of the law who are righteous in God's sight, but the doers of the law who will be justified. When Gentiles, who do not possess the law, do instinctively what the law requires, these, though not having the law, are a law to themselves. 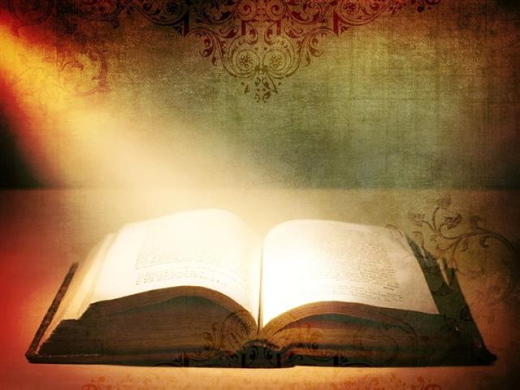 They show that what the law requires is written on their hearts, to which their own conscience also bears witness; and their conflicting thoughts will accuse or perhaps excuse them on the day when, according to my gospel, God, through Jesus Christ, will judge the secret thoughts of all. But if you call yourself a Jew and rely on the law and boast of your relation to God and know his will and determine what is best because you are instructed in the law, and if you are sure that you are a guide to the blind, a light to those who are in darkness, a corrector of the foolish, a teacher of children, having in the law the embodiment of knowledge and truth, you, then, that teach others, will you not teach yourself? While you preach against stealing, do you steal? You that forbid adultery, do you commit adultery? You that abhor idols, do you rob temples? You that boast in the law, do you dishonor God by breaking the law? For, as it is written, "The name of God is blasphemed among the Gentiles because of you." Jesus said to them, "Very truly, I tell you, the Son can do nothing on his own, but only what he sees the Father doing; for whatever the Father does, the Son does likewise. The Father loves the Son and shows him all that he himself is doing; and he will show him greater works than these, so that you will be astonished. Indeed, just as the Father raises the dead and gives them life, so also the Son gives life to whomever he wishes. The Father judges no one but has given all judgment to the Son, so that all may honor the Son just as they honor the Father. Anyone who does not honor the Son does not honor the Father who sent him. Very truly, I tell you, anyone who hears my word and believes him who sent me has eternal life, and does not come under judgment, but has passed from death to life. 1 Be pleased, O God, to deliver me; O LORD, make haste to help me. 2 Let those who seek my life be ashamed and altogether dismayed; let those who take pleasure in my misfortune draw back and be disgraced. 3 Let those who say to me "Aha!" and gloat over me turn back, because they are ashamed. 4 Let all who seek you rejoice and be glad in you; let those who love your salvation say for ever, "Great is the LORD!" 5 But as for me, I am poor and needy; come to me speedily, O God. 6 You are my helper and my deliverer; O LORD, do not tarry. 1 In you, O LORD, have I taken refuge; let me never be ashamed. 2 In your righteousness, deliver me and set me free; incline your ear to me and save me. 3 Be my strong rock, a castle to keep me safe; you are my crag and my stronghold. 4 Deliver me, my God, from the hand of the wicked, from the clutches of the evildoer and the oppressor. 5 For you are my hope, O LORD God, my confidence since I was young. 6 I have been sustained by you ever since I was born; from my mother's womb you have been my strength; my praise shall be always of you. 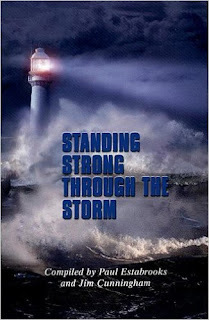 7 I have become a portent to many; but you are my refuge and my strength. 8 Let my mouth be full of your praise and your glory all the day long. 9 Do not cast me off in my old age; forsake me not when my strength fails. 10 For my enemies are talking against me, and those who lie in wait for my life take counsel together. 11 They say, "God has forsaken him; go after him and seize him; because there is none who will save." 12 O God, be not far from me; come quickly to help me, O my God. 13 Let those who set themselves against me be put to shame and be disgraced; let those who seek to do me evil be covered with scorn and reproach. 14 But I shall always wait in patience, and shall praise you more and more. 15 My mouth shall recount your mighty acts and saving deeds all day long; though I cannot know the number of them. 16 I will begin with the mighty works of the Lord GOD; I will recall your righteousness, yours alone. 17 O God, you have taught me since I was young, and to this day I tell of your wonderful works. 18 And now that I am old and gray-headed, O God, do not forsake me, till I make known your strength to this generation and your power to all who are to come. 19 Your righteousness, O God, reaches to the heavens; you have done great things; who is like you, O God? 20 You have showed me great troubles and adversities, but you will restore my life and bring me up again from the deep places of the earth. 22 Therefore I will praise you upon the lyre for your faithfulness, O my God; I will sing to you with the harp, O Holy One of Israel. 23 My lips will sing with joy when I play to you, and so will my soul, which you have redeemed. 24 My tongue will proclaim your righteousness all day long, for they are ashamed and disgraced who sought to do me harm. Psalm 74 Ut quid, Deus? 1 O God, why have you utterly cast us off? why is your wrath so hot against the sheep of your pasture? 2 Remember your congregation that you purchased long ago, the tribe you redeemed to be your inheritance, and Mount Zion where you dwell. 3 Turn your steps toward the endless ruins; the enemy has laid waste everything in your sanctuary. 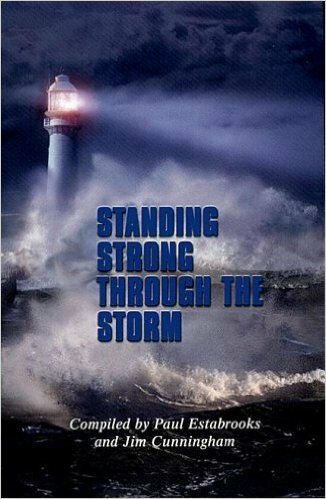 4 Your adversaries roared in your holy place; they set up their banners as tokens of victory. 5 They were like men coming up with axes to a grove of trees; they broke down all your carved work with hatchets and hammers. 6 They set fire to your holy place; they defiled the dwelling-place of your Name and razed it to the ground. 7 They said to themselves, "Let us destroy them altogether." They burned down all the meeting-places of God in the land. 8 There are no signs for us to see; there is no prophet left; there is not one among us who knows how long. 9 How long, O God, will the adversary scoff? will the enemy blaspheme your Name for ever? 10 Why do you draw back your hand? why is your right hand hidden in your bosom? 11 Yet God is my King from ancient times, victorious in the midst of the earth. 13 You crushed the heads of Leviathan and gave him to the people of the desert for food. 14 You split open spring and torrent; you dried up ever-flowing rivers. 15 Yours is the day, yours also the night; you established the moon and the sun. 16 You fixed all the boundaries of the earth; you made both summer and winter. 17 Remember, O LORD, how the enemy scoffed, how a foolish people despised your Name. 18 Do not hand over the life of your dove to wild beasts; never forget the lives of your poor. 19 Look upon your covenant; the dark places of the earth are haunts of violence. 20 Let not the oppressed turn away ashamed; let the poor and needy praise your Name. 21 Arise, O God, maintain your cause; remember how fools revile you all day long. 22 Forget not the clamor of your adversaries, the unending tumult of those who rise up against you. Colossians 3:12 (NIV) Therefore, as God’s chosen people, holy and dearly loved, clothe yourselves with compassion, kindness, humility, gentleness and patience. Morning Devotions with Cap'n Kenny - "An Essential for Evangelism"
My heart is filled with bitter sorrow and unending grief for my people, my Jewish brothers and sisters. I would be willing to be forever cursed—cut off from Christ!—if that would save them. 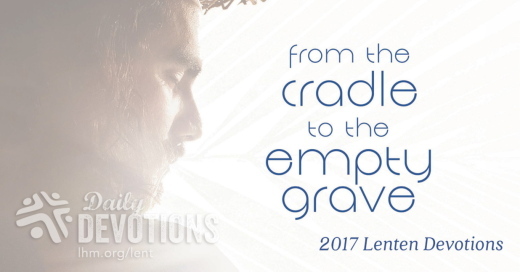 General William Booth, the founder of the Salvation Army, once said that if he had his way, he wished part of the final training for Christians going into the work of evangelism would be for them to dangle over Hell for twenty-four hours. It wasn’t so they would fear it for themselves, because they had the hope of Heaven. Rather, it was so they could see the reality of what awaits those who do not know Jesus Christ. In Romans 9, Paul identified something that is essential for effective evangelism. He wrote, “With Christ as my witness, I speak with utter truthfulness. My conscience and the Holy Spirit confirm it. My heart is filled with bitter sorrow and unending grief for my people, my Jewish brothers and sisters. I would be willing to be forever cursed—cut off from Christ!—if that would save them” (verses 1–3). In fact, if we are lacking this quality, then everything else really is of no consequence. Paul had a God-given burden for those who did not know Jesus Christ. He cared. It burned inside of him. And in his case, it was for his own kinsmen, the Jews. Do you have a God-given burden for those who don’t know Jesus Christ? And if you don’t, do you want one? Be careful. If you ask God to give you this burden, you may be surprised at how quickly He answers you. The results could be life changing. As I have said so many times, God is not looking for ability; He is looking for availability. In time He will help you in your ability. He will help you in your technique. He will help you in all those things. But what you need to start with is a God-given burden for the lost. After working together for nearly a year, John and Dave became good friends. Dave supervised John at work, but the two men shared a mutual interest in water sports. They even spent a few weekends wakeboarding together at a nearby lake. One afternoon at the end of the workday, Dave asked John if he wanted to grab some dinner. While they were eating, Dave commented to John, “You know, you just seem different from the other people I supervise. What is it?” With that opening, John shared his faith in Jesus. Dave nodded his head politely but didn’t enter the discussion. “Look,” Dave replied, “I don’t appreciate people trying to ‘convert’ me. And I have no tolerance for any religion that claims to be the only way to God.” With that, the conversation ended. Within six months, John was laid off. Let’s face it: Our faith sometimes causes us problems. It’s always been that way. When Paul and Silas delivered a slave girl from spiritual oppression, their actions resulted in a citywide uproar. Authorities accused them of advocating unlawful practices counterproductive to Roman society. The magistrate ordered them beaten and thrown into jail. While we might not risk imprisonment or beating, when we follow Jesus we do risk accusations of proselytizing or of being too spiritually narrow. Our stand for faith might even result in ridicule, rejection and discrimination. Paul and Silas responded by allowing themselves to suffer on behalf of Jesus. In the midst of their suffering, they even invited their jailer into a relationship with Jesus. While we might not suffer to the extent Paul and Silas did, we can still choose to make spiritually correct choices, as they did. We can follow in their footsteps—standing for our faith and even inviting our enemies into a relationship with Jesus. 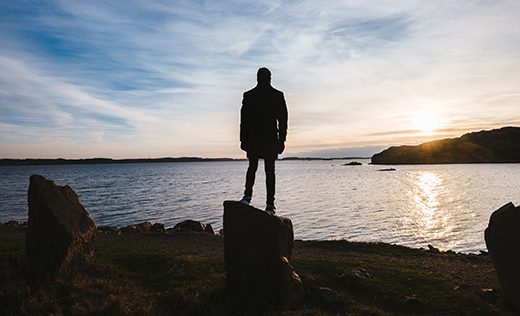 Have you taken a risky stand for your faith? When? What was the outcome? Read Romans 5:1–5. What do you think suffering for your faith teaches you? How can you be better prepared to suffer for Jesus? My friend Brad has a little girl named Elizabeth. When Elizabeth was one year old, Brad and his wife taught her some sign language. For the word please, they chose to have her rub her chest. So, as Brad and Jamie taught Elizabeth to say please, they rubbed their own chests and said “please.” Simple enough. Elizabeth had a favorite toy. It’s a plastic knobby toy that holds colorful rings. You know the one with the yellow pole and white base that, without the rings, loosely resembles a trumpet. (C’mon, use your imagination!) So, being the fun, creative parents that Brad and Jamie are, they would dump off the rings and playfully hold up Elizabeth’s toy and make a trumpet sound. Elizabeth loved her parents’ silliness. She laughed and clapped with delight. It became a favorite game in their household. One day, when Brad and Elizabeth were playing the trumpet game, Elizabeth excitedly grabbed the toy and handed it back to him to do it again. Brad encouraged her to say “please” and reinforced the instruction by rubbing his chest. To his surprise, Elizabeth made her way over to him and started to rub his chest instead of her own. Did this please her daddy? You bet it did! Even though Elizabeth mixed up the signals, she communicated with her daddy. Brad was filled with love and joy by her effort. He was pleased that she came to him. Not because she did or didn’t do something right, but just because she is his daughter and he loves her. He adores her. God adores you too. Just because you are His child. His sweet daughter. “How great is the love the Father has lavished on us, that we should be called children of God! And that is what we are!” (1 John 3:1a). Have you considered that perhaps God isn’t longing for you to come to Him with perfect, polished prayers that have fifty-cent words and flowery language? Have you thought about the pleasure God experiences when you simply approach him just as you are, warts and all, because He loves you? He delights in your attention. He takes pleasure when you go to Him simply because you are His. Heavenly Father, Thanks for this reminder of Your love for me. Thanks for seeing me as precious and special. I’m amazed by Your love. Help me to come to You as I am each day… without pretenses, pride, or perfection, but simply with Your permission to just be me… because You love me. Read Zephaniah 3:17 again silently. Now read it again aloud. 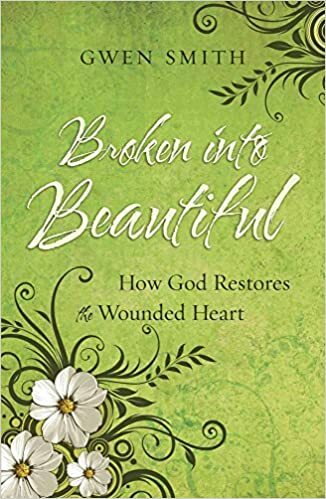 Today’s devotion is an excerpt from Gwen’s book, Broken Into Beautiful, which features her testimony, along with Scriptural truths and stories of how God brings restoration to the hearts of those wounded by painful life experiences. Explore God’s healing and hope for your life today as you read Broken Into Beautiful. To order the book, go to Amazon, your favorite Christian bookstore, or for a signed copy, order from Gwen’s web store. LHM Daily Devotion - "Herod's Death Threat"
... "Get away from here, for Herod wants to kill You" (Luke 13:31b, ESV). Each day the danger increases for Jesus. Today, some Pharisees pass along an alleged death threat. If Herod did make this threat, it was more of a bluff to drive Jesus out of the region. Later, he'll have his chance to kill Jesus in Jerusalem, but he will hand Him back to Pilate instead. He doesn't want to anger his Galilean subjects by killing yet another popular prophet, executing John the Baptist had already cost him enough. Jesus refuses to be intimidated. His time in Galilee is growing extremely short, and He will reach every person He possibly can before He must move on toward Jerusalem. Jesus gives them a message to take back to Herod, "Tell that fox, 'Behold, I cast out demons and perform cures today and tomorrow, and the third day I finish my course.'" If demons and diseases cannot stop Jesus from carrying out the work the Father has set for Him to do, no earthly ruler will either. He must go up to Jerusalem. And it is there-like so many prophets before Him-that Jesus must die. Like a bird that spreads its wings to gather its chicks and shield them from danger, Jesus reaches out to His people, but they turn their backs. On the cross His arms will be stretched out for them also, but they will pass by with sneers, insults and mockery. This brings tears to His eyes. But they are not for Him; rather, they are for the people of Jerusalem He so desperately wants to save, but they are unwilling. This unwillingness will lead to their destruction at the hands of the Roman legions in another 40 years. THE PRAYER: Almighty God, so many times You reached out to Your people, yet they kept turning their backs on You. Heal my stubborn heart, so I may know Your peace and joy through Jesus Christ my Lord and Savior. I pray in Jesus' Name. Amen. Jacobo y Juan habían estado con Jesús por tres años escuchando sus enseñanzas, aprendiendo de su estilo de vida, y sorprendiéndose con sus milagros. Sin embargo, con esta petición revelan que todavía no habían entendido la profundidad de la misión de Jesús. Evidentemente se tomaron esto muy en serio, pues "traicionaron" a sus compañeros y se propusieron pasar por la misma copa de amargura por la que Jesús estaba pasando. Con toda certeza no sabían lo que estaban pidiendo. A pesar de haber estado personalmente con Jesús todo ese tiempo, todavía no habían sido transformados en su mente y en su corazón. Pero Jesús no se exaspera. Él sabía que, cuando el Espíritu Santo tocara sus corazones en Pentecostés, verían con mayor claridad el ministerio al que habían sido llamados. Al final, todos los apóstoles murieron, siendo Jacobo el primero, como mártir, y Juan el último, desterrado en una isla. De alguna forma, ellos fueron el principio y el fin del ministerio de los apóstoles originales. Ése fue el bautismo de amargura en el que participaron. 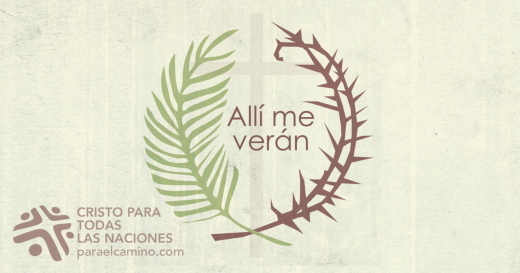 De todo esto aprendo que debo ser más simple en mis oraciones expresando mis temores, mis necesidades, y mis anhelos al Señor, y dejando que él me conceda aquello que ya tiene preparado para mí. No importa cuánto tiempo hemos caminado ya con el Señor, cuántos milagros hemos visto, y cuántas veces nos ha sorprendido él con su ternura y cuidado, no siempre entendemos la profundidad de la vida a la que nos ha llamado. Las puertas de los cielos están abiertas para que entren nuestras oraciones. ¿Qué pediremos? Que el Señor nos abrace con su gracia y nos anime a confiar siempre en él para todas las cosas de la vida. Gracias, Padre, porque mediante Jesús nos oyes siempre. Amén. © Copyright 2017 Cristo Para Todas Las Naciones. ¡Utilice estas devociones en sus boletines! Usado con permiso. Todos los derechos reservados por la Int'l LLL. Reina Valera Contemporánea (RVC) Copyright © 2009, 2011 by Sociedades Bíblicas Unidas. Our Daily Bread welcomes writer Kirsten Holmberg! Meet Kirsten and all our authors at odb.org/all-authors. Sau khi vụng về đụng phải chiếc ly trên quầy hàng của khách sạn, thức uống bị đổ bắt đầu tràn ra và chảy xuống sàn. Quá xấu hổ, tôi cố gắng hứng nước bằng bàn tay chụm lại nhưng nỗ lực của tôi không thành công; phần lớn nước đã chảy qua các kẽ ngón tay. Cuối cùng, lòng bàn tay lật ngửa chỉ giữ lại được khoảng một muỗng nước ít ỏi, trong khi chân tôi đứng trên vũng nước. Cuộc đời tôi nhiều khi cũng tương tự như vậy. Tôi thấy mình cố gắng giải quyết nan đề, giám sát từng chi tiết và kiểm soát mọi tình huống. Dù cố gắng đến đâu, những bàn tay yếu đuối của tôi vẫn không đủ khả năng để xoay xở hết mọi thứ. Lúc nào cũng có thứ gì đó lọt qua kẽ tay và đổ xuống sàn nơi chân tôi, khiến tôi cảm thấy bất lực. Dù tôi nghiêng tay thế nào hay các ngón tay tôi có khít đến cỡ nào, thì tôi cũng không thể nắm giữ tất cả. Nhưng Chúa có thể. Ê-sai nói rằng Chúa có thể đo lường biển cả – đại dương, sông lớn hay mưa – trong lòng bàn tay Ngài (40:12). Chỉ tay Ngài mới đủ lớn để nắm giữ tất cả. Chúng ta không cần cố gắng nhiều hơn những gì Ngài đã định cho mình nắm giữ. Khi cảm thấy bất lực, chúng ta có thể trao phó những mối bận tâm và lo lắng của mình vào bàn tay toàn năng của Ngài. Lạy Chúa, xin giúp con ngừng nỗ lực nhằm giữ mọi thứ trong tay mình, nhưng xin giúp con trao những mối quan tâm và lo lắng của mình vào sự chăm sóc trọn vẹn của Ngài. Chúng ta có thể giao phó cho Chúa giải quyết những nan đề khiến chúng ta bị choáng ngợp. ¿Quién midió las aguas con el hueco de su mano…? (Isaías 40:12). Después de volcar torpemente mi vaso en la barra del restaurante, el líquido empezó a derramarse por el borde hasta el piso. 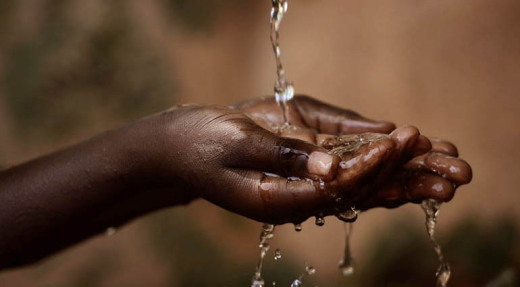 Por la vergüenza, traté de atrapar el agua haciendo un hueco con las manos. Mis esfuerzos fueron inútiles, ya que casi toda la bebida se escapó entre los dedos. Al final, en la palma de mis manos, apenas quedó una pequeña cucharadita, mientras que mis pies estaban en medio de un charco. Muchas veces, mi vida es algo parecido. Lucho por resolver problemas, pasar detalles por alto y controlar las circunstancias. Por más que lo intento, mis frágiles manos son incapaces de manejar todas las piezas. Siempre se me escapa algo entre los dedos y se cae, y me deja abrumada. Aunque trate de contorsionar las manos o juntar más los dedos, no puedo controlar todo. Sin embargo, Dios sí puede hacerlo. Isaías nos revela que el Señor puede medir las aguas del planeta —océanos, ríos, lluvia— en el hueco de sus manos (40:12). Solo sus manos son lo suficientemente grandes para contenerlas. No hace falta que intentemos sostener con nuestras manos más de la cucharadita para la que fueron diseñadas. Cuando las circunstancias nos superan, podemos poner nuestras preocupaciones y angustias en sus hábiles manos y confiar en Él. Señor, ayúdame a no intentar solucionar todo, sino a poner todo en tus manos. Podemos confiar en que Dios maneje todo aquello que nos abruma. Ich hatte versehentlich mein Glas auf der Theke des Restaurants umgestoßen. Nun strömte die Flüssigkeit über die Kante und tropfte hinunter auf den Boden. In meiner Verlegenheit versuchte ich den Wasserfall mit zusammengelegten Händen aufzufangen, doch vergeblich. Der größte Teil des Getränks rann mir durch die Finger. Schließlich hatte ich in jeder Handfläche nicht mehr als einen Teelöffel Flüssigkeit, während ich mit den Füßen in einer Pfütze stand. An manchen Tagen fühlt sich mein Leben ganz ähnlich an. Ich versuche Probleme zu lösen, Einzelheiten im Blick zu behalten und die Umstände zu kontrollieren. Doch egal, wie sehr ich mich bemühe, meine schwachen Hände können nicht mit allen Teilen jonglieren. Irgendetwas schlüpft mir durch die Finger und sammelt sich zu meinen Füßen auf dem Boden. Und ich bin machtlos. Egal, wie sehr ich die Finger biege oder die Hände zusammenpresse, ich kann nicht mit allem fertig werden. Aber Gott kann! Jesaja berichtet, dass Gott die Wasser der ganzen Erde—alle Meere und Flüsse und den Regen—in seiner hohlen Hand messen kann (40,12). Nur seine Hände sind groß genug, um alles zu halten. Wir müssen nicht probieren, mehr als den Teelöffel zu fassen, für den er unsere Hände geschaffen hat. Wenn wir uns machtlos fühlen, können wir unsere Sorgen und Nöte seinen fähigen Händen anvertrauen. Hilf mir, Herr, damit aufzuhören, alles in meiner Hand halten zu wollen. Lass mich stattdessen lernen, meine Sorgen und Nöte dir anzuvertrauen. Gott kann auch mit den Dingen fertig werden, die uns zu groß sind. Коли я через необережність зачепила й перекинула склянку з напоєм, що стояла на стойці в ресторані, рідина почала текти на підлогу невеличким струмочком. Вкрай зніяковівши, я намагалася зібрати її, підставивши долоні. Але мої спроби загалом були невдалими – напій просочувався крізь пальці. Зрештою, в моїх долонях залишилась мізерна кількість рідини, в той час як сама я стояла посеред калюжі. Щось подібне я відчуваю у своєму житті майже щодня. Я докладаю багато зусиль для вирішення тих чи інших проблем, намагаюсь угледіти всі деталі, контролювати ситуацію. Та як би я не старалася, мої слабкі пальці неспроможні втримати все вкупі. Щось і прослизне крізь пальці, залишаючи мене в стані великої розгубленості. Як би я не стискала свої пальці, як би не напружувала м’язи рук, мені не вдається впоратись з усіма проблемами. Однак Бог може те, чого не можу я. Пророк Ісая каже, що Бог спроможний виміряти всю воду землі Своєю долонею (Іс. 40:12). Лише Його руки достатньо могутні, щоб тримати всі океани вкупі. Нам же годі й пробувати утримувати в долонях більше, ніж столова ложка – рівно стільки, скільки Бог запланував для нас. Якщо ж відчуваємо, що забагато взяли на себе, можемо віддати свої турботи й тривоги в Його могутні руки. Господи, допоможи мені не намагатися все тримати у своїх руках. Навчи натомість довіряти Твоєму довершеному піклуванню, віддаючи Тобі всі свої турботи й потреби. Можемо з довірою віддати у Божі руки все, що нас турбує й непокоїть. После того как я неуклюже опрокинула стакан в ресторане, напиток водопадом потек со стола на пол. В замешательстве я сделала ладони лодочкой и попыталась поймать жидкость, но усилия были безуспешными: почти весь напиток вытек сквозь пальцы. В руках осталось не больше ложки, а ноги стояли в луже. Вот так время от времени выглядит моя жизнь. Я пытаюсь каким-то способом решить проблемы, учитывать подробности и контролировать обстоятельства. Но как ни стараюсь, мои слабые руки не способны справиться со всей сложностью бытия. Что-то обязательно утекает сквозь пальцы и падает к ногам, а я только растерянно смотрю на происходящее. Как я ни сжимаю руки и ни стискиваю пальцы, все равно ничего не получается. Но Богу все возможно. Исаия говорит, что Бог может измерить все воды земли (океаны, реки и дожди) Своей горстью (Ис. 40:12). Только Его руки достаточно велики, чтобы удержать столько воды. И нам нет нужды держать в своих руках больше столовой ложки, как определено Создателем. Чувствуя беспомощность, мы можем доверить наши заботы и переживания Его могучим рукам. Помоги мне, Господи, не пытаться удержать все в своих руках, но доверить свои нужды и трудности Твоим могучим рукам. Мы можем доверить Богу все то, что нам не под силу.